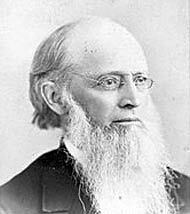 O God, who in thy providence didst call Joseph Schereschewsky and Channing Moore Williams to the ministry of this church and gave them the gifts and the perseverance to translate the Holy Scriptures: Inspire us, by their example and prayers, to commit our talents to thy service, confident that thou dost uphold those whom thou dost call; through Jesus Christ our Lord, who liveth and reigneth with thee and the Holy Ghost, one God, for ever and ever. Amen. O God, who in your providence called Joseph Schereschewsky and Channing Moore Williams to the ministry of this church and gave them the gifts and the perseverance to translate the Holy Scriptures: Inspire us, by their example and prayers, to commit our talents to your service, confident that you uphold those whom you call; through Jesus Christ our Lord, who lives and reigns with you and the Holy Spirit, one God, for ever and ever. Amen. Commemorations for Schereschewky & Williams were combined in Lesser Feasts & Fasts 2018. 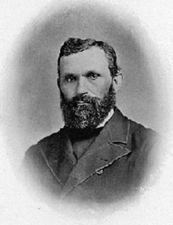 Samuel Isaac Joseph Schereschewsky was born in Lithuania in 1831, went to Germany to study for the rabbinate, there became a Christian, emigrated to America, trained for the priesthood, and in 1859 was sent by the Episcopal Church to China, where he devoted himself from 1862 to 1875 to translating the Bible into Mandarin Chinese. In 1877 he was elected Bishop of Shanghai, where he founded St. John's University, and began his translation of the Bible into Wenli (the classical Chinese style of writing). He developed Parkinson's disease, was largely paralyzed, resigned his position as Bishop of Shanghai, and spent the rest of his life completing his Wenli Bible, the last 2000 pages of which he typed with the one finger that he could still move. Four years before his death in 1906, he said: "I have sat in this chair for over twenty years. It seemed very hard at first. But God knew best. He kept me for the work for which I am best fitted." Williams was born in Richmond, Virginia, in 1829, and ordained deacon in 1855. The Episcopal Church sent him to China, where he was ordained priest in 1857. In 1859 he was sent to Nagasaki, Japan, and in 1866 was consecrated Bishop of China and Japan. In 1868 Japan was opened to far greater contact with the West than before, and he determined that he could achieve best results by concentrating his efforts on Japan. In 1874 (or is that 1877?) a new bishop (Samuel Isaac Joseph Schereschewski, see above) was consecrated for China, and Williams went to Tokyo (then called Edo or Yedo), where he founded what is now St Paul's University. In 1878 he helped unite several mission efforts in the formation of the Nippon Sei Ko Kai, the Holy Catholic Church in Japan. In 1889 his health began to fail, and he asked to be relieved. In 1893 a successor was appointed, and Williams stayed on, living in Kyoto and helping to open new mission stations. He returned to America in 1908 and died 2 December 1910.